This event will be held at the Wakulla Community Center @ 318 Shadeville Rd. across from the Public Works Annex. Entrance will be on Trice Ln. and exit onto Shadeville Rd. I know you’ve been waiting since Michael had interrupted our last event, so here it is! Bring all those chemicals, paints, pesticides, electronics, etc. and let’s get rid of them the right way! Thank you to all the volunteers that came out and helped us gather 2.73 tons of trash from our forest!! 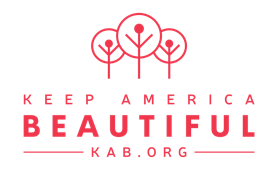 VOLUNTEERS NEEDED Keep Wakulla County Beautiful will be hosting the 2019 KWCB Apalachicola Forest Cleanup as part of our Great American Cleanup efforts. Volunteers will join U.S. Forest Service staff as we clean up acres of trash and debris to keep our forest clean for humans and animals alike! Keep Wakulla County Beautiful is committed to keeping the local rivers clean so we can protect and restore it for us – and future generations. Participating in a river clean-up is one way that citizens can do their part for the river we all love. Please take a moment to review the reporting procedures if you are unfamiliar. We look forward to hearing from you!